Welcome to the Call of Duty: Zombies Library. Have you ever wanted to know everything about COD: Zombies? Have you ever wanted to find it all in 1 place? Within these 3 threads you will find almost everything about this great game called Call of Duty: Zombies. From Map Trailer Video’s, Blog Intel, Wall Writing’s, Pictures, Characters, Perks-a-Cola, Wunder Weapons, Easter Eggs, Side Quest information, Secret Songs through to Character Quotes. I have tried to include everything that would be of interest to help us understand, figure out & explain this complicated game of Run, Shoot & fend for your life! Most sections and header titles will include links to the original source, as-well as links to possible references for which I think the in-game article draws from. I have tried to limit my theorizing as I want all of the information in here to be as accurate & factual as possible. Let’s try to figure out & explain as much content as we can. Topics are contained in spoiler tabs to limit major scrolling. · GTTV Interview ~ Behind the Design - Black Ops II: ZOMBIES! 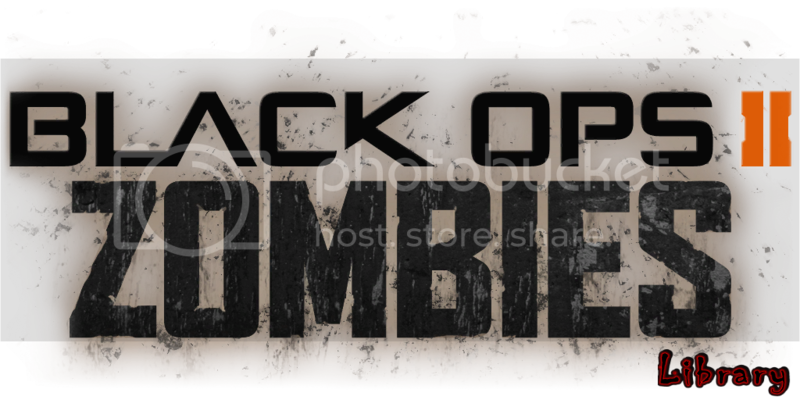 Behind the Design - Black Ops II: ZOMBIES! What secrets lay hidden in Black Ops II’s zombie mode? We talk to the man behind it to find out!